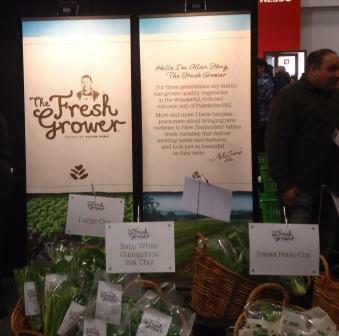 I made the point of going to the Auckland Food Show; a number of my team did too – and the feedback I received was that it was a very enjoyable experience. Allan Fong, a grower of Chinese vegetables in Pukekohe, working to go to the consumer directly. A fantastic example of where the mindset needs to be. Fairtrade banana importers working to raise their profile. But I saw no sign of Dole, Bonita or Turners & Growers! 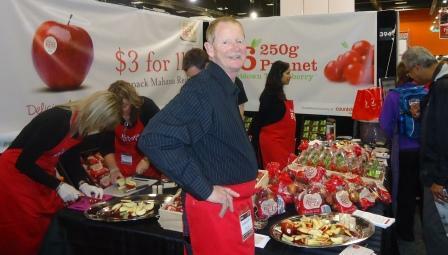 Marketer and wholesaler Freshmax promoting the "only available at Countdown" apple variety Mahana Red. 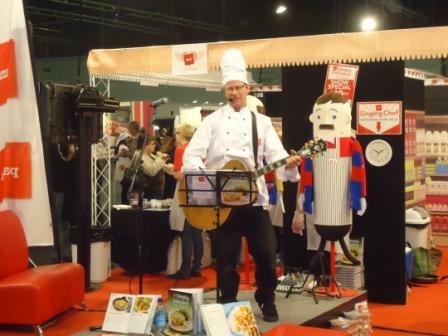 This singing chef was part of the entertainment provided by the Pams range from Foodstuffs. 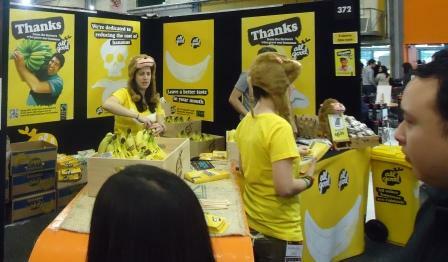 The only bananas on show were Fairtrade ones – no sign of any other brand; now New Zealand is known for being fond of bananas. We certainly do not need to be introduced to the crop per se. But Dole Bananas also travel with some sort of ecolabel or other. And I have no idea what Bonita is up to in this area. But if I were a banana merchant, I would be inclined to keep an eye on the Fair Trade crowd. We are not talking about a passing fad here, but a serious effort to build a sustainable economy in third world countries that has human dignity as its centre piece, something ignored at peril. Progressive were only there in the form of Freshmax promoting a Countdown exclusive product; while Foodstuffs were there in the guise of their house brand Pams (which they have been promoting heavily over the last several months). Fresh produce was not there in force at all, unlike other years. No mushrooms, for example, and no mainstream brands such as Wilcox potatoes. What is going on here? I would have thought that a large Food Show, in a major urban centre, would have marketers out in force. Is the cost of having a stand at one of these events so expensive that the ROI simply isn’t there? On the other hand, looking at the many niche exhibitors trying to carve out their place in the sun with the visiting crowds, are the known brands getting just a little complacent? 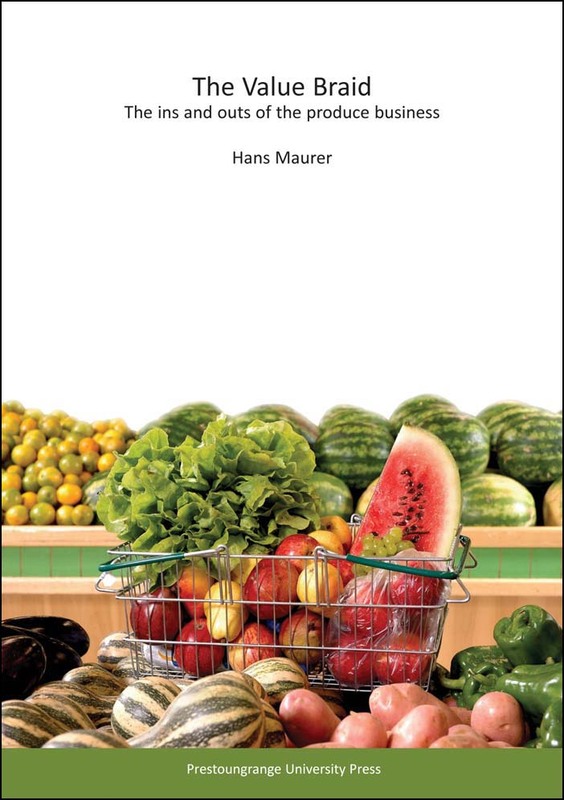 Posted: August 15th, 2011 under Bananas, Consumer, Food, Produce.